Elizabeth's Bio — She Said. She Led. She Is. 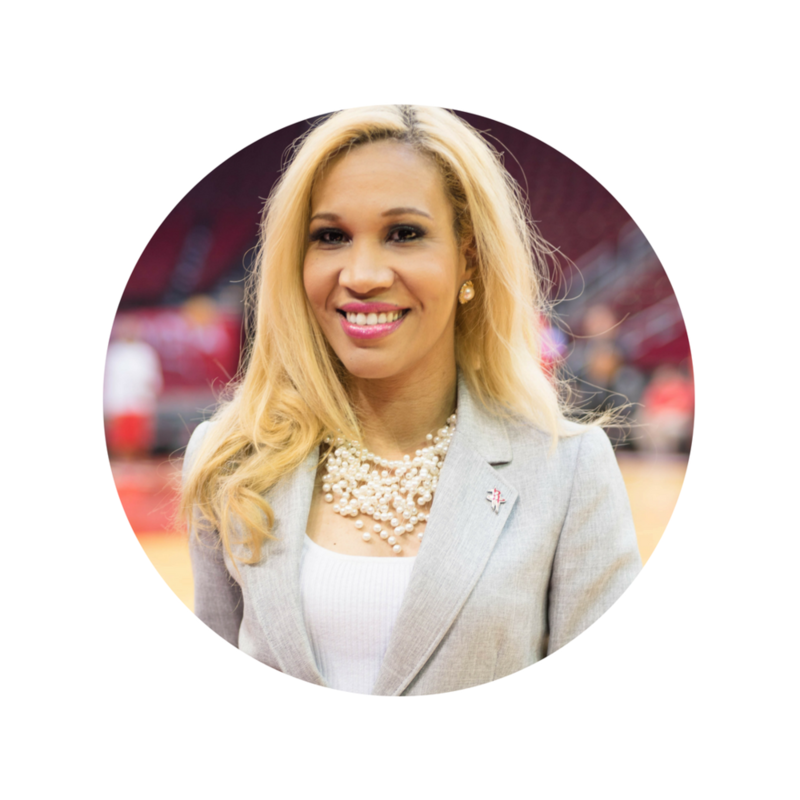 Elizabeth Lloyd has been a part of the Houston Rockets organization since 2007 in multiple departments such as the Marketing, Inside Sales, Season Sales, and Group Sales. Whether thru setting up marketing, sales, and community events, assisting every imaginable type of corporate business of all sizes, civic organizations, schools, youth sports, international VIP’s, Celebrities & Athletes, Elizabeth has managed to find positive, profitable, and productive ways to create experiences, relationships, and life-long memories thru the business of basketball. Elizabeth initiated and executed two great events with current and retired NBA Players/Coaches which later was awarded “NBA Best Practices in Sales during Lockout Year 2010-11” & “NBA Best Practice in Sales involving Current & Retired NBA Players/Sponsors and Sales -2013-14”. Elizabeth also serves on the Executive Advisory Board for the NBRPA (NBA Retired Players Association) Houston Chapter.